Born in Ashland, PA June 17, 1956 the son of the late Warren Altomare and Mary Theresa (Hollister) Altomare of Mt. Carmel. He was a graduate of Mt. Carmel High School, Class of 1974. He took various business courses at Bloomsburg University. He started at a young age in his family business, Altomare Waste Disposal. He later worked for Waste Management, Coal Twp where he was the manager of the transfer station. He then became the founder and CEO of Family Home Medical in Mt. Carmel. He was involved in numerous sports organizations: He played football for Jazz Diminick from 1970-1972. He was a broadcaster for 28 years for Red Tornado Football. He was the chairman and one of the founding members of the Mt. Carmel Supper Club. He was inducted into the Ed Romance Chapter of PA Sports Hall of Fame in 2010 and has been an active member and master of ceremonies since. Since 1980 he has been a member of the Mt. Carmel Lions Club "Mike Terry Award" selection committee. He also chaired and was active with the Lions Club Teener League Team. He was involved in many local civic organizations: He was a 39 year member of the Lions Club in Mt. Carmel and was past president and the current treasurer. 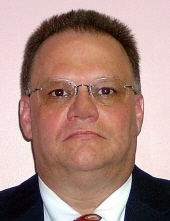 He was a former board member of the Ashland Regional Hospital. He was a former lieutenant and life member of the West End Fire Co., Mt Carmel and was a former EMT for the Mt. Carmel Rescue Squad. He was a current member of Mt. Carmel Downtown Inc. He was a former officer of Brush Valley Chamber of Commerce. He was a board member of Central Susquehanna Sight Services . He was a former board member of the Tri-County Health System and the PA Home Care Association where he served on the public policy and Home P.A.C. committees. He was very active in local politics: He served as Mt. Carmel Borough Councilman and was a candidate for Mt. Carmel Borough Mayor and County Commissioner. He had served on the Northumberland County Republican Executive Committee. Other membership include: Mt. Carmel Elks 356, Bishop Schott 628 Knights of Columbus, The Lithuanian Social Club, the West End Athletic Club, the Clover Hose Fire Co., and was a past president of the former Nuggets Charity Club. He is survived by his lifelong partner and love of his life, Kathleen Hoffman of Aristes, PA; and her children: Nicole, wife of Andy Fisher and their children Aidan and Devin, Maryland; and Joshua Hoffman, New York. Also surviving is his mother, Mary Theresa (Hollister) Altomare, Mt. Carmel; Two sisters: Laurie wife of Randy Johnson, Mt. Carmel; and Diane Altomare wife of Robert Sieklicki, Mt. Carmel. Two nieces: Laura and Elyse Johnson. In his memory and in honor of his legacy and commitment to students and sports programs of the Mt. Carmel Area School District and because of the love he had for both, the flag located in the northwest corner of the Mt. Carmel Silver Bowl will fly at half-staff until the conclusion of his funeral service. Services will be held at SS. Peter & Paul Ukrainian Catholic Church, Mt. Carmel, PA at 12 noon on Saturday, June 23, 2018 with the Very Reverend Archpriest Michael Hutsko officiating. Visitation will be from 9:00 AM to time of service at the SS. Peter & Paul Ukrainian Catholic Church, Mt. Carmel. 109 N. Oak St., Mt. Carmel, PA 17851 or The Red Tornadoes Supper Club, C/O UNB Bank, 1 N Oak St.
Willard A. Rothermel Funeral Home, Mt. Carmel, PA is in charge of arrangements. Charles Heizenroth III, FD. To send flowers or a remembrance gift to the family of Warren D. Altomare, please visit our Tribute Store. "Email Address" would like to share the life celebration of Warren D. Altomare. Click on the "link" to go to share a favorite memory or leave a condolence message for the family.